Vivienne Lassman was born in Edinburgh, Scotland, went to Drama College and taught children improvisational drama in the primary school system there. She emigrated to the United States, Washington, DC, became a citizen and studied at George Washington University changing her BA in Drama to a BA in Art History then entered the Masters program in Art History. 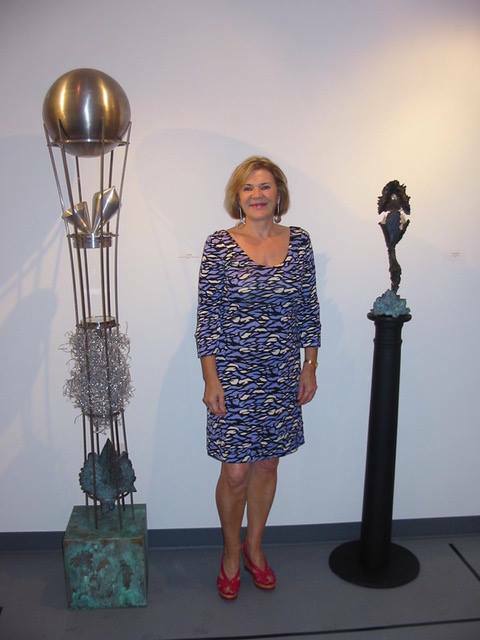 Lassman’s career evolved, developing her own art consulting business for clients that included law firms, real estate companies and private individuals, advising them how to create unique art collections. Later she folded her business into the Troyer, Fitzpatrick, Lassman Gallery as a partner for several years. On leaving, she was invited to co-curate the Washington Convention Center art collection, a $5 million project that includes regional, national and international artists and took several years. It is the largest non-museum collection in Washington. Prior to that she was Chief Curator for the Bicentennial of the Octagon Museum, with an innovative exhibition “Through the Looking Glass” that extended into the American Institute of Architects galleries and included several artist commissions. Vivienne has curated two other Take Me To The River exhibitions: Pretoria Museum, South Africa and Iturria Foundation, Montevideo, Uruguay. Some of her other projects include Romanian artist Noche Crist at American University Katzen Museum and Mexican artist Anamario Hernandez at the Mexican Cultural Institute. Lassman has served on numerous boards of non-profit institutions in Washington, District of Columbia.